When you feel unsteady and as if you're losing your balance, that's postural instability. Postural instability is very common in people with more advanced stages of Parkinson's disease – in fact, most people who have had Parkinson's disease for a while begin to have problems with balance, as they lose the reflexes that allow them to stay balanced. Your doctor may test for postural instability with the so-called ‘pull test,’ in which your doctor pulls you backward by the shoulders to see how well you compensate for the sudden imbalance. Postural instability can be very disabling, as you might well imagine. 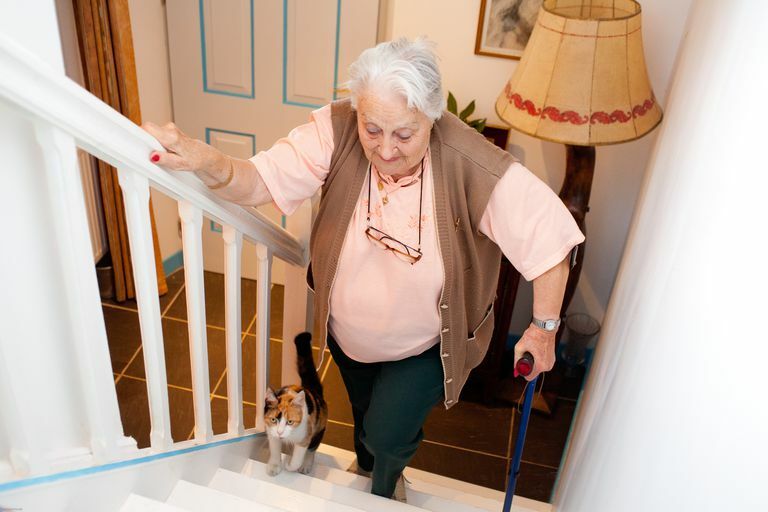 In fact, people with advanced Parkinson's disease are at a high risk for falls – and the loss of independence that can come as a result of falls – because of this symptom. Head injuries and broken bones from falls are common. Fortunately, for most people with Parkinson's disease, this problem with imbalance doesn't lead to falls until years following diagnosis. In addition, there are treatments that can help you improve your balance and reduce your risk of falls from postural instability. It's not entirely clear what causes postural instability in Parkinson's disease. You can have the problem at the time you're first diagnosed with the condition, but you're more likely to develop it as your Parkinson's progresses. In addition, several conditions are associated with a higher risk of postural instability in Parkinson's disease. People with diabetes and Parkinson's disease seem to be at higher risk for postural instability than people with Parkinson's alone. In addition, people with Parkinson's and cognitive impairment appear to be at higher risk for postural instability. Finally, one study showed people with Parkinson's who have depression or apathy seem to have a greater risk for postural instability. In fact, apathy seemed to be a stronger predictor of balance problems than depression. The authors of that study suggested that treating depression and apathy in Parkinson's may also improve balance. Many physicians address postural instability – along with the other symptoms of Parkinson's disease – with medications. In early and mid-stage Parkinson's, prescription drugs are effective at keeping balance problems at bay. However, the medications get less effective at this over time as the disease progresses. Studies show physical therapy involving challenging balance exercises is effective in improving balance and preventing falls, although more long-term studies are needed to see if these effects will last. It's important to keep in mind that the exercises you do must be targeted specifically at improving your balance – your physical therapist can help you with this. Finally, doctors have studied surgical treatments as possible ways to improve balance and reduce postural instability in people with Parkinson's disease, but have gotten only mixed results and modest benefits so far. Some surgical techniques for this are considered experimental. Hassan A et al. Correlations of apathy and depression with postural instability in Parkinson disease. Journal of the Neurological Sciences. 2014 Mar 15;338(1-2):162-5. Kim SD et al. Postural instability in patients with Parkinson's disease. Epidemiology, pathophysiology and management. CNS Drugs. 2013 Feb;27(2):97-112. Klamroth S et al. Effects of Exercise Therapy on Postural Instability in Parkinson Disease: A Meta-analysis. Journal of Neurologic Physical Therapy. 2016 Jan;40(1):3-14. Kotagal V et al. Diabetes is associated with postural instability and gait difficulty in Parkinson disease. Parkinsonism and Related Disorders. 2013 May;19(5):522-6. Owan Y et al. [Correlation between cognitive impairment and postural instability in patients with Parkinson's disease]. Article in Japanese. Brain and Nerve. 2015 Jan;67(1):99-104.